December | 2011 | Quilting my way through life! Good health and good sewing times!!! I love this movie too. I’ve not watched it yet this season, but I probably will soon. 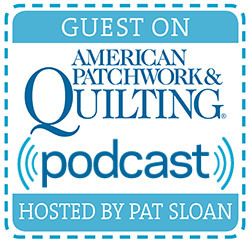 JoAnn, let me know your pattern of choice and I will get it in the mail to you. I hope you all had a Merry Christmas as I did today. My favorite gift is being with my family and friends for the holidays, but one of my favorite gifts to open was from my mother-in-law; a gift certificate from a local quilt shop. It doesn’t get much better than this! 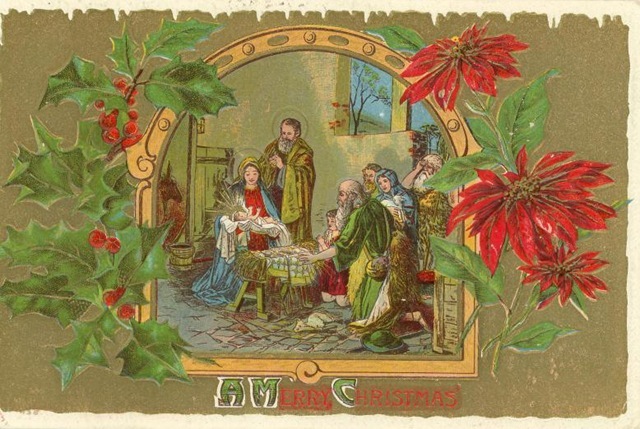 May God’s blessings be with you and yours this holy day! 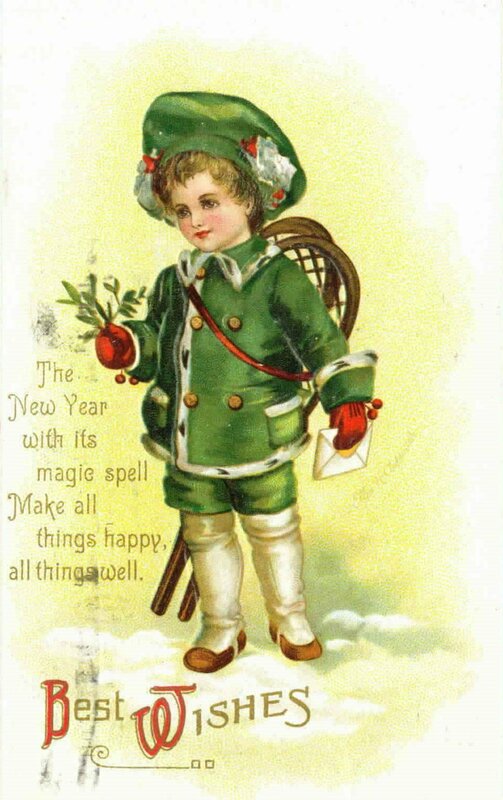 Don’t forget to comment on my post from 12-22-2011 to be eligible to win a free pattern. My Christmas gift to a lucky winner! 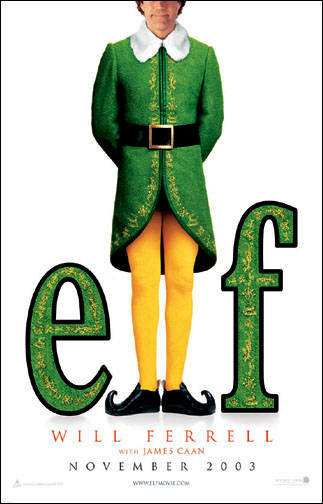 is singing loud for all to hear” (Elf, the movie)! 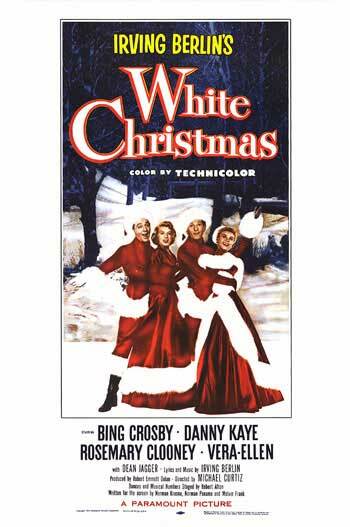 leave a comment (top of this post) and tell me your favorite Christmas movie and you’ll be entered to win a free pattern of your choice from my website! Drawing to be on Christmas night! 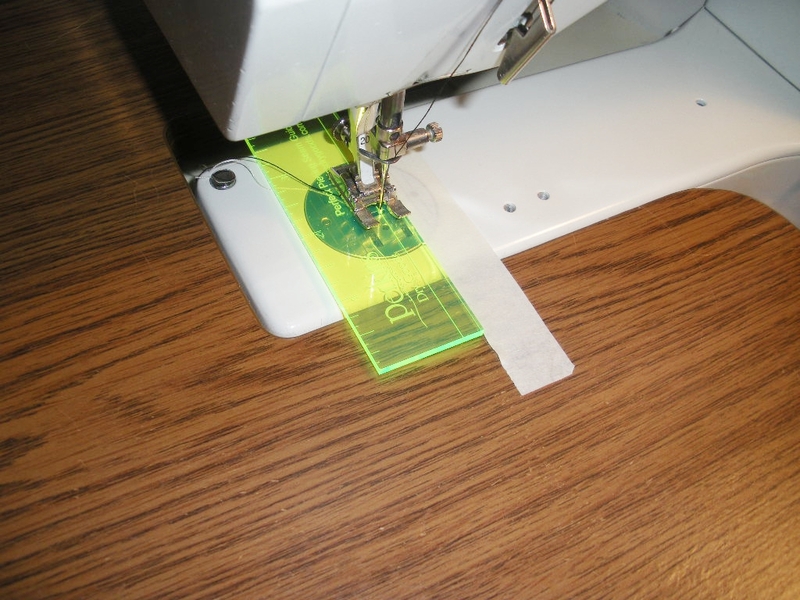 One of the most important tasks to conquer for quilting is finding and sewing the PERFECT scant 1/4″ seam. The easiest way to get it exact EVERY time is this tool. The tool has a tiny hole just big enough for your needle to go through. 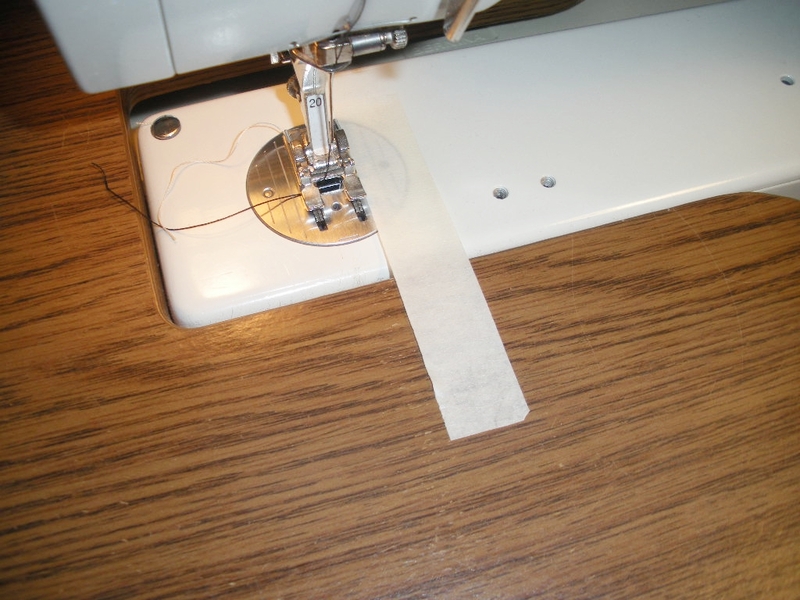 Put the tool under your presser foot and hand crank the needle down slowly until it goes through that hole. Put the preser foot down. Put a strip of masking tape along the side of the tool. Remove the tool and you have the perfect guide to follow! 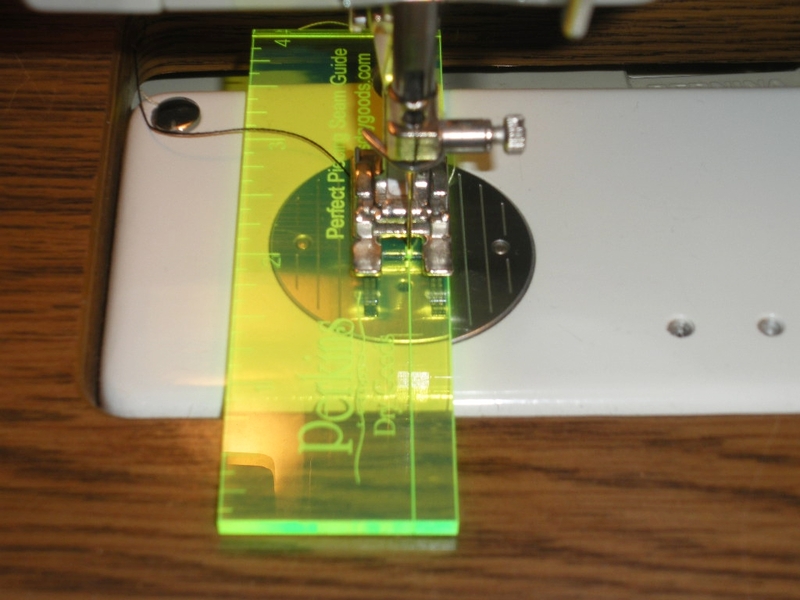 I set up my machine and I can follow the side of my applique foot by moving my needle position one click to the right of center and I’ve got it every time. Unfortunately not every machine is the same. Every once in a while I take out my Singer Featherweight to sew on and I use this tool to refresh my memory of where the scant 1/4″ is on that machine. 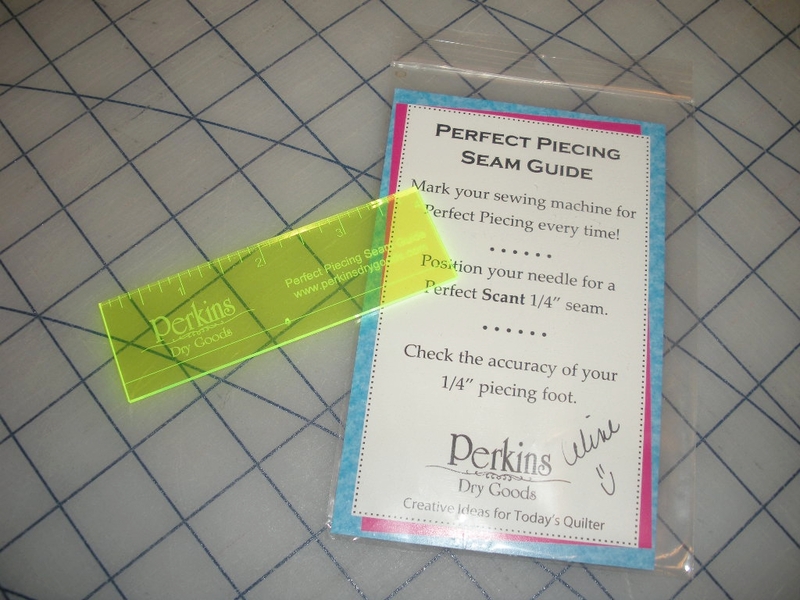 Since I don’t sew on it very often, I can’t remember if I can follow the edge of the foot or not…It’s a memory thing that this handy tool fixes too! You can find the tool at your local quilt shop or Celine’s website.